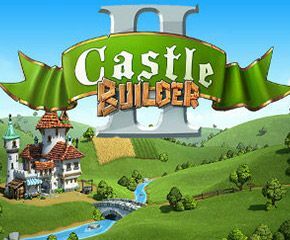 Castle Builder II slots is a five reel and fifteen payline online slots game developed by Rab Cat. This slot game is set within the imaginary province of the New Forana situated in the Meadowlands. Over here, the job of the players is to build some castles in order to win the heart of the King Lornquer’s III lovely daughter. And, once they win over the King’s favour, a bunch of various prizes will be heading their way soon. The return to player percentage is 96.34%. Under Castle Builder II slots, the players have to select an avatar- they can pick up Mandy or Sam first. The players will then have to finish the game for unlocking the Igor avatar. This slot game comes with appropriate visual designs and an electrifying soundtrack. It is played with a minimum and maximum bets of £0.15 and £30.00 respectively. The reels comprise of bricks, granite, wood and iron ore that appear alongside gold, rings and other treasures. A crown is considered as the most valuable symbol, with which the players can earn up to 50 times their stake. Moreover, the wild symbol of Castle Builder II slots is depicted by the king. The players can activate this feature by landing three or more scatter symbols on the screen. A number of free spins obtained is directly proportionate to the scatters. 3 scatters will get you ten free spins. 4 scatters will get you fifteen free spins. 5 scatters will get you twenty free spins. The players can win various cash prizes along with a chance to gather numerous building materials. Once the players have completed building a castle, a Royal Wedding will take place and the beautiful princess will select the admirer who has built the most castles. During this challenge, the players are required to land six building materials in the pallet. The platinum, gold and silver cup levels require fifteen, twelve and nine building materials which are hard to achieve. If the players succeed, then they will receive bigger potential prizes. Once the players have completed the above challenge, they will then unlock the Free Buildings Mode. This will allow them to build up whatever castle they like, in all of the unlocked territories. Also, the World Map provides fifteen different Kingdoms, from which nine Kingdoms must be finished in order to complete the Cup Challenge. 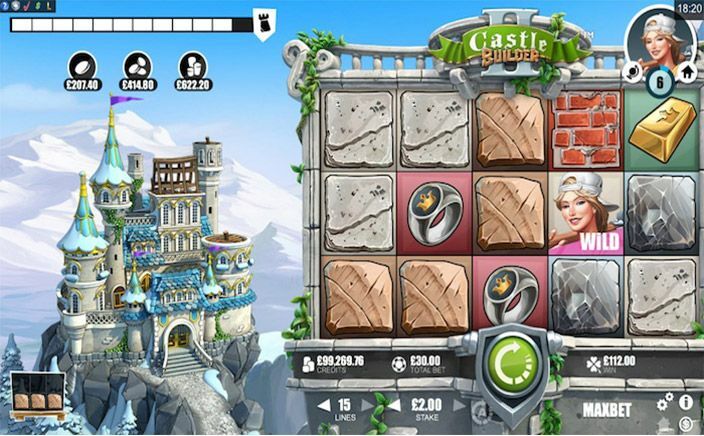 Castle Builder II slots is a top online slot game, that is performing really well amongst the slot fans. It is of medium variance.